Originally published 2/16/18. Updated 2/7/19. There’s nothing quite like a good bowl of mac & cheese to soothe the soul. But that can be a bit of a challenge if you, like myself, find the kitchen foreign and hostile territory. Luckily for me, my horrible cooking skills don’t have to match up with my desire to consume delicious mac & cheese. 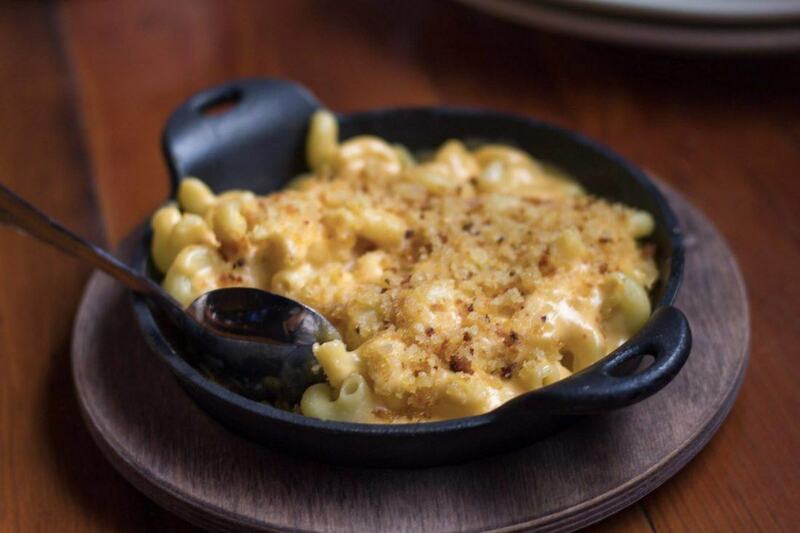 Columbus knows how to make good food, but this city knows how to make great mac & cheese. Here are the 7 best places to grab yourself a bowl of that creamy goodness. 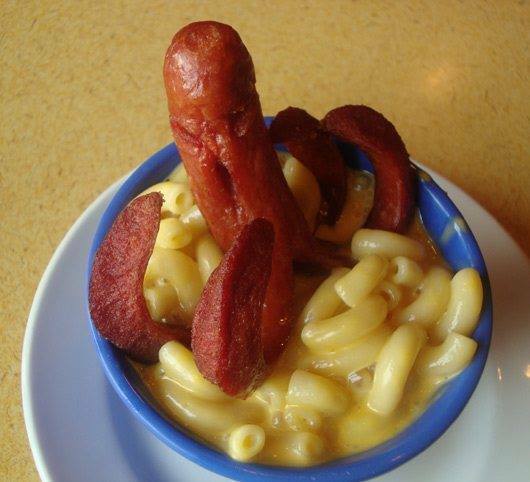 The mac and cheese at Dirty Franks is one of my favorites. It perfectly captures the nostalgia of eating as a kid, which I attribute largely to the Hot Dog Octopus coming out of the dish. 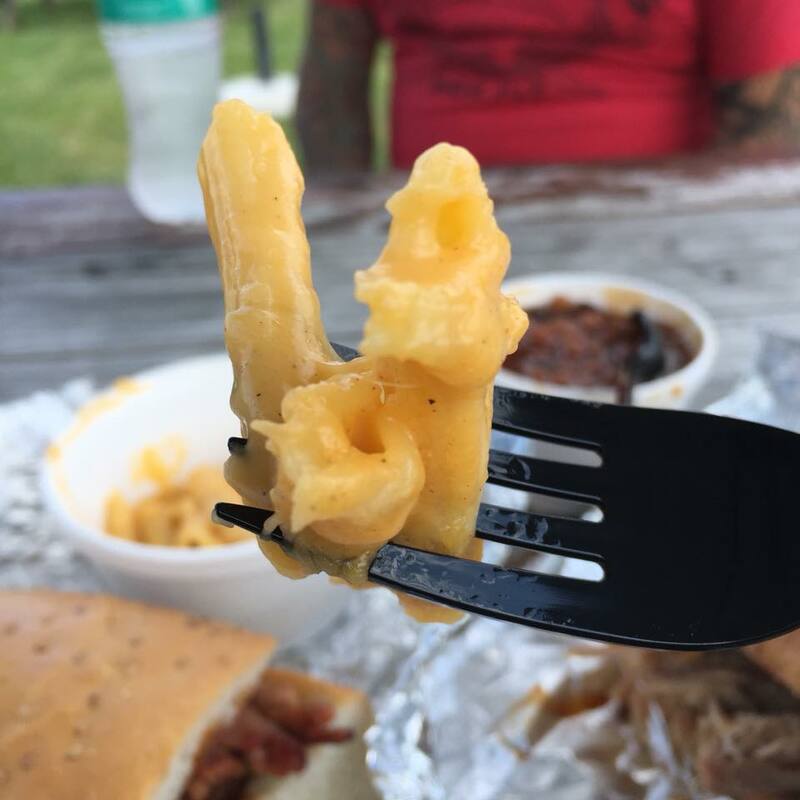 You can grab the mac n’ cheese in a couple different ways, including The Octodog (seen above) for $4.50 or just regular Mac & Cheese with peppers for $3.50. They even have deep fried mac & cheese bites. This pick could be a little controversial, but hey, who doesn’t love a good mac & cheese debate? Smoked On High offers a unique take on this classic side, with tons of seasoning and the perfect amount of cheese. The mac & cheese on its own will cost you $3. When you first get your serving, you may think it looks a little on the small side, but trust me, your eyes are deceiving you. It is dense and filling and worth every penny. If you eat at Legacy Smokehouse and your meal doesn’t include mac & cheese, what’s the point? Seriously though, you can get mac & cheese as a side at Legacy, but it is in finest form when you order The Haystack. 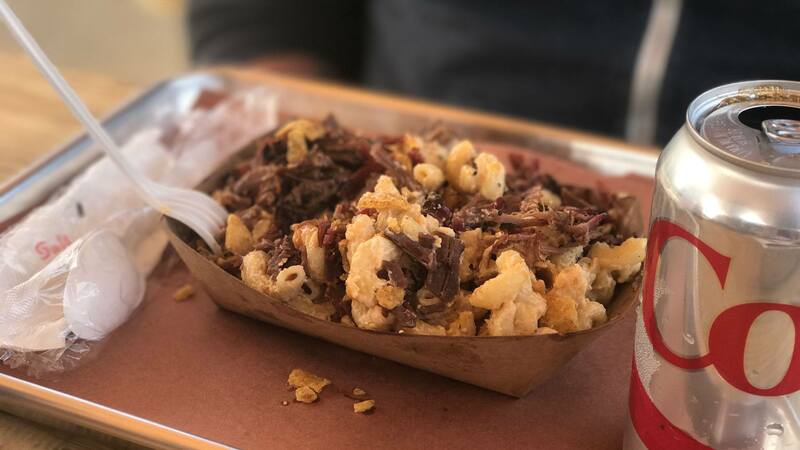 The double order of fluffy macaroni is smothered in perfectly cooked and seasoned brisket, and it’s exactly as mouthwatering as it sounds. It will cost you $9, but don’t worry, it’s your whole meal in one dish. Tip Top is just one of those places that always feels like coming home. It’s relaxed, it doesn’t take itself too seriously, and the food and drinks are quality and affordable. But even if none of that was true, I’d still go in for their mac & cheese. So technically, it’s rotini & cheese, but let’s not get hung up on that. The noodles and cheese are joined by sauteed poblano peppers, red onion, and corn to make the perfect bowl of comfort mac & cheese. If you get it as your main entree, it will cost you $10, and for an extra buck, you can add crumbled Ohio sausage. This is one of the cheesiest dishes to make the list. The mac & cheese at The Eagle is the definition of Southern Comfort food. It’s made with five different kinds of cheese and topped with garlic breadcrumbs. So yummy and it will only leave your wallet $5 lighter. Ray Ray’s Scratch Mac & Cheese, as in “made from”, is so simple, so cheesy, and so delicious. There’s nothing fancy about it, no frills or extras. It’s just good, old-fashioned mac & cheese. If you’re into thick and creamy macaroni, then Ray Ray’s will probably rank pretty high on your list. Change your life and order some for just $4. At Sweet Carrot, you can order the “Main Mac” which is their delicious mac n’ cheese, topped off with your favorite entree. If you aren’t looking for a huge portion, you can also snag this cheesy treat as a side dish. Plus, if for some crazy reason you’re feeling the cheese, but not the noodles, you could change it up and grab the cheesy potatoes. Different starch, same level of comfort.